— Three out of 11 retailers told TDmonthly in a May 2015 survey that Frozen was their best-selling licensed toy property. Bebe Feimster, manager of Big Smile Toys/Hardware Center in Paoli, Pa., told us that this specific toy was their best seller. — In a August 2014 survey, two out of 10 retailers told TDmonthly that Frozen licensed products were their best-selling collectible toys. Take an exciting adventure with Dusty and his friends. 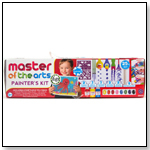 The activities include Magic Pen® Painting, Invisible Ink and Sticker Puzzles. The Special Pen reveals the invisibly printed pictures. The Special Pen also produces a rainbow of colors instantly. Unscramble the stickers to create a surprise picture. Play and learn with your favorite Dora the Explorer™ characters. The activities include Magic Pen® Painting, Invisible Ink and Sticker Puzzles. The Special Pen reveals the invisibly printed pictures. The Special Pen also produces a rainbow of colors instantly. Unscramble the stickers to create a surprise picture. For Young Fashion Designers! Choose a border from transparency pages. Then place the trace paper over any of the hairstyles, shirts, skirts, shoes and accessories. Use the colored pencils (included) to create unique fashion styles. The possibilities are endless. Each spiral bound book includes 8 colored pencils in a re-sealable pouch, 16 pieces of trace paper with colorful borders and 10 pages of traceable clothes, shoes and accessories. For Young Fashion Designers! Choose a border from transparency pages. Then place the trace paper over any of the hairstyles, shirts, skirts, shoes and accessories. Use the colored pencils (included) to create unique fashion styles. The possibilities are endless. Each spiral bound book includes 8 colored pencils in a re-sealable pouch, 16 pieces of trace paper with colorful borders and 10 pages of traceable clothes, shoes and accessories. Enjoy lots of games with SpongeBob and friends. Each tin consists of a color game board printed on the inside of the tin, an activity book with 5 additional play scenes and 2 sheets of magnets. Enjoy lots of games with Dora and friends. Each tin consists of a color game board printed on the inside of the tin, an activity book with 5 additional play scenes and 2 sheets of magnets. Take the Lalaloopsy dolls on a day of imagination and fun! Each tin consists of 2 characters printed on the tin, activity card to be used on the tin and 1 sheet of magnets. Each book includes 48 pages of fun and a special pen. ― Out of 39 retailers, four named activity books from Lee Publications as their top-selling travel item in March 2010, reporting sales averaging 24 per month. ― Kristen Dolle, manager of Playthings Toy Shoppe in Louisville, Ky. told TDmonthly in late Spring 2011 that Magic pen books by Lee Publications were a best-selling travel toy. — In an April 2012 survey about best selling travel toys, Joe Berardoni, owner of Pun's Toys in Bryn Mawr, Pa., told TDmonthly: "As a category, Lee Publication’s Yes & Know books continue to sell out during travel time due to their wide age range and low retail price." — Want this? As of 05/06/2011, this product was available for purchase at Playthings Toy Shoppe. Dress up these stylish young girls in a variety of outfits. Each tin consists of 2 characters printed on the tin, activity card to be used on the tin and 1 sheet of magnets. Revisit the story of how Tiana and Neveen meet. Magic Pen® Painting is a fun and easy way to paint - but with no mess! Use the Special Pen to paint each picture and watch the colors instantly appear. Each book includes 24 pages of fun and a special pen. Buzz Lightyear and Woody are two great friends on one big adventure. The activities include Magic Pen® Painting, and Invisible Ink with Stickers. The Special Pen also produces a rainbow of colors instantly. The Special Pen reveals the invisibly printed pictures. Then match your stickers to the appropriate spot. Book 2: Each book includes 24 pages of fun, a special pen and stickers. Andy's friends are out of the toy box. Woody and Buzz are ready to round them up for another adventure! Each tin includes a colorful play scene printed on the inside of the tin, 1 additional colorful play scene (2 cards) and 3 sheets of magnets. Dress Tiana and Prince Naveen for a day of imagination and fun! Each tin consists of 2 characters printed on the tin, activity card to be used on the tin and 1 sheet of magnets. Curious about what is hidden in invisible ink? So is Curious George. Help him discover the hidden world. The Special Pen reveals the invisibly printed pictures. Then match your stickers to the appropriate spot. Each book includes 24 pages of fun, a special pen and stickers. 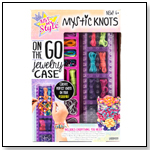 — Four of 64 retailers named products from Lee Publications when discussing best-selling travel toys in March 2009. All your favorite princesses and their horses take you to a land of magical games and coloring. The activities include Magic Pen® Painting and Invisible Ink. The Special Pen also produces a rainbow of colors instantly. The Special Pen reveals the invisibly printed pictures. Each book includes 24 pages of fun and a special pen. — Two of 40 retailers who spoke with TDmonthly in March 2008 singled out Lee Publications products as the best-selling travel items in their stores. — In March 2008, over 22 percent of retailers who spoke with TDmonthly named activity books as their best-seller when it comes to travel products. — Many other varieties are available, including Ratatouille, Disney Fairies and Finding Nemo. Let the magic of the Tinker Bell and friends come alive! Magic Pen® Painting is a fun and easy way to paint - but with no mess! Use the Special Pen to paint each picture and watch the colors instantly appear. Each book includes 24 pages of fun and a special pen. Nemo and Dory take the ocean by storm uncovering lots of adventures. The activities include Invisible Ink with Stickers. The Special Pen reveals the invisibly printed pictures. Then match your stickers to the appropriate spot. Each book includes 24 pages of fun, a special pen and stickers. This original art is very cute with a little humor added in each picture. The kids will get a kick out of this activity. Magic Pen® Painting is a fun and easy way to paint - but with no mess! Use the Special Pen to paint each picture and watch the colors instantly appear. Each book includes 24 pages of fun and a special pen.